In addition to this blog see also Create PO line API: How the bibliographic record is determined. This blog will show a real-life example of a situation in which a new order is created from OASIS and a matching bibliographic record already exists in Alma. Due to configuration in the new order API configuration profile in Alma a new duplicate bibliographic record in Alma will not be created. Instead it will match to the existing bibliographic record in Alma and then attach the order to that existing bibliographic record. This of course will prevent the creation of duplicate bibliographic records. 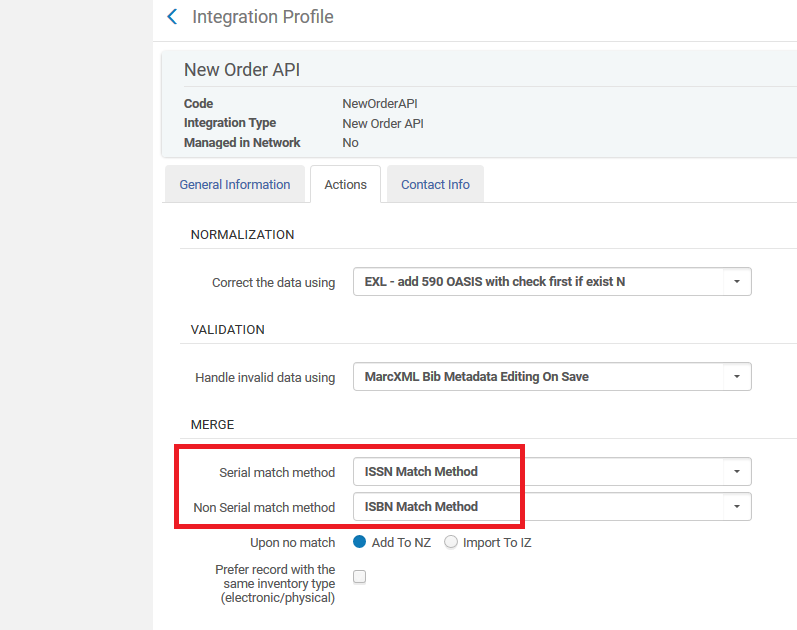 In the New Order API integration profile we have defined that when a new record is created from the new order API it should look for a match on the ISSN / ISBN and then merge with the existing record. 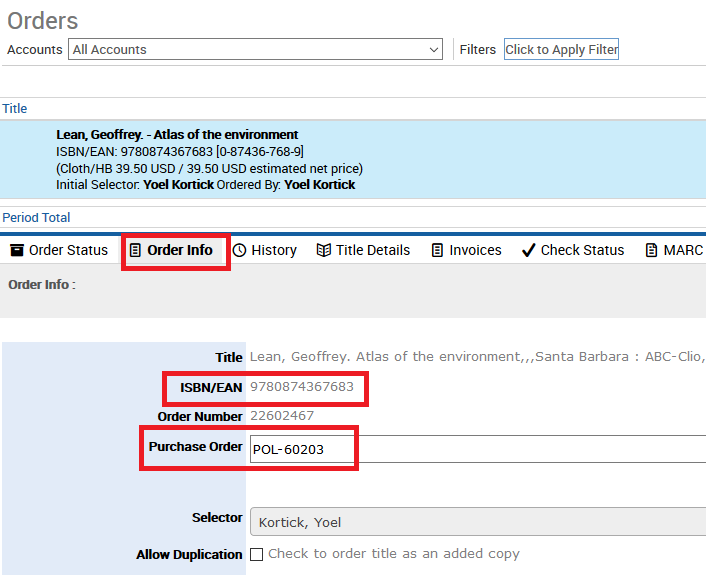 We see here that ISBN 9780874367683 already exists once in Alma and has no link to a POL (“Purchase Order Line”, also known as an “Order”). Now we will order from OASIS the same ISBN 9780874367683. If now we search Alma we see that the bibliographic record still only exists once and now there is an order attached to it. That means a match was made by the ISBN and the order became attached to the existing record. There are no duplicates. If we look at the order attached to this record we see that it is the order we saw from the OASIS interface: POL-60203.